When you have installed Virto SharePoint Related Items Field Type and activated it, you need to adjust the feature. add a lookup column to an existing list and adjust the feature. For example, you need to aggregate information from distinct personal lists (eg. “John’s expenses”) in one list of employee’s expenses (“Expenses”). Every child list should have the lookup column pointed to the parent list “Expenses”. The parent list “Expenses” should contain “Virtosoftware Related items” columns pointed to all child lists. 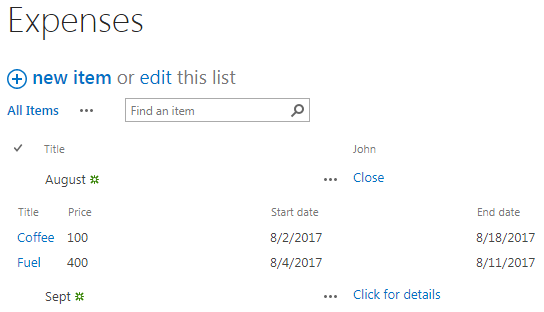 On the following picture, I have created in parent “Expenses” list a new “Virtosoftware Related items” column named “John”. 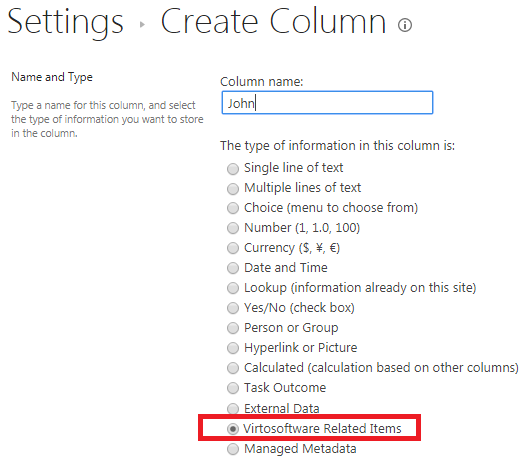 Scroll down to the bottom of column creation form to the “Related Items Definition” settings. Select the child list, a linked lookup column and define other options if needed (see the next chapter for more details). 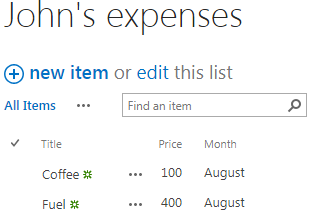 Now, the column “John” in list “Expenses” represents the personal expenses from child column.